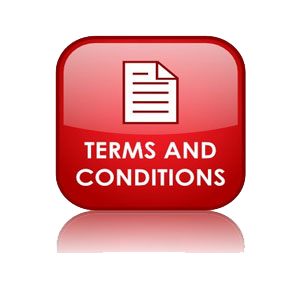 The following terms and conditions will be deemed to have been accepted by the User on usage of the website. You are requested to read them carefully before using the services of this site. All content present on this site is the exclusive property of Dawn and for your personal use only. The software's, texts, images, graphics, videos and audios used on this site belong to Dawn. No material from this site may be copied, modified, reproduced, republished, uploaded, transmitted, posted or distributed in any form without prior written permission from the company. All rights not expressly granted herein are reserved. Unauthorized use of the materials appearing on this site may violate copyright, trademark and other applicable laws, and could result in criminal or civil penalties. Our logo is a registered trademark of Dawn. This trademark may not be used in any manner without prior written consent from Dawn. Dawn does not make any warranties, express or implied, including without limitation, those of merchantability and fitness for a particular purpose with respect to any information, data, statements or products made available on the Site. The Site and all content, materials, information, software, products and services provided on the Site, are provided on "as available" basis. Dawn expressly disclaims all warranties of any kind, whether express or implied, including, but not limited to, the implied warranties of merchantability fitness for a particular purpose and non-infringement. Dawn shall have no responsibility for any damage to User's computer system or loss of data that results from the download of any content, materials, information from the Site. Dawn may change or discontinue any aspect of its website at any time, including its content or features. Dawn reserves the right to change the terms and conditions applicable to use of the Site. Such changes shall be effective immediately upon notice, which shall be placed on the Site.